Frankfurt is home to Germany’s largest airport and therefore often the starting point for people’s travels across the country. While Frankfurt itself is mostly known for being a major financial hub, the surrounding area has a ton of interesting and varied sights to offer – from haunted castles to romantic river cruises. Here’s a list of ideas for day trips if you’re in the area. 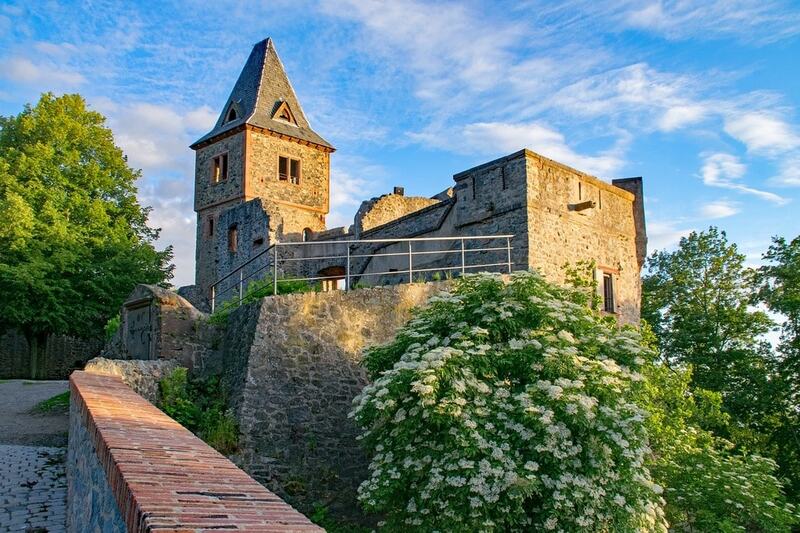 Horror and mystery fans will love a trip to Frankenstein Castle. Some of the 750-year-old walls have started crumbling down and turned parts of the myth-enshrouded hilltop castle to ruins. Stories tell of witch cults, ghosts, and a mad alchemist who lived in the castle over the past centuries. The English novelist, Mary Shelley, visited the region around Darmstadt in 1814. Her trip to the castle is said to have inspired gothic novel Frankenstein, which was published two years later. A trip to Heidelberg is an absolute treat. The city stuns with romantic views of the Neckar river, a historical town centre and the ruins of Heidelberg Castle atop a hill. Spend your days strolling the old town and its beautiful churches, Germany’s oldest university and quaint market squares. Across the river, the ruins of Heidelberg Castle tower over the city and can be reached via a quick ride with the funicular railway. Marburg is only an hour north of Frankfurt but still somewhat of an insider’s tip. The small town is nestled on the river Lahn, and is primarily known for its picturesque setting and the university which was founded back in 1527. The cobblestone streets of the old town crawl up a hill and are connected through a network of market squares, alleyways, and steep staircases. 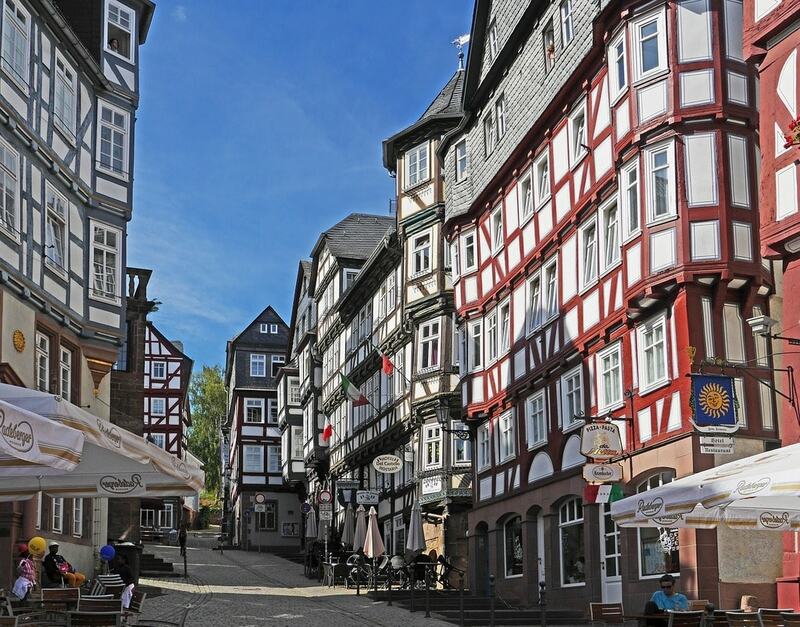 Shops, bars, and cafés line the narrow streets, and the bustling town centre is overlooked by the 11th century Marburg Landgrave Palace sitting on the hilltop. 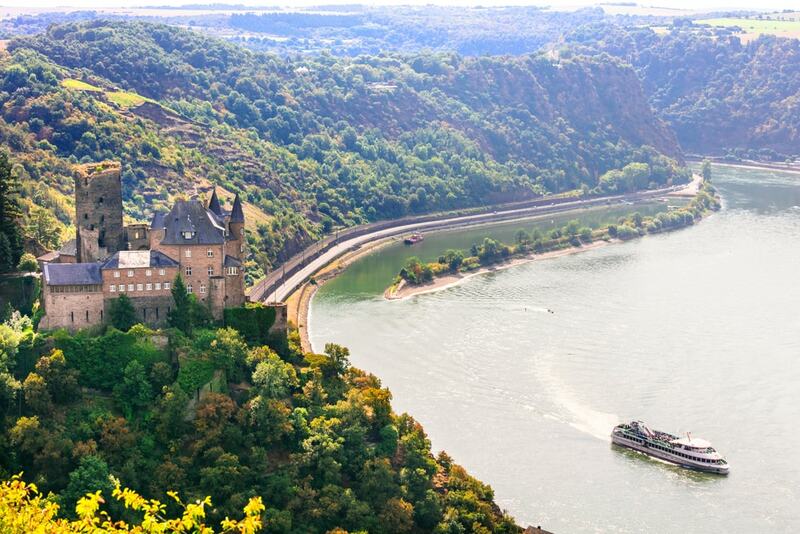 The Rhine is often said to be Germany’s most romantic river. A 30-minute train ride takes you to Mainz from where you can board a boat and cruise down the meandering stream towards Koblenz. Along the way, you’ll have the opportunity to get off and explore some of the medieval castles, historic villages, fortress ruins, vineyards, and rock formations. More than 2.000 years of history have shaped Mainz as we know it today. Founded as a Roman military post in the first century BC, the city quickly became the regional capital, saw the coronation of Frederick II in 1212, and Johannes Gutenberg’s invention of the movable-type printing press in the mid-15th century. A tour of the city’s historic sights is best combined with a tasting of the excellent wines from the area. Felsenmeer translates to ‘sea of rocks’ which is quite an accurate description of what you can expect. In the midst of the protected Odenwald region, countless boulders cover a vast field in the forested area. A sequence of geological processes created the surreal landscape over millions of years, but a saga tells of two giants who lived on the opposing mountain tops on each side of the valley. In a feud, the two started throwing rocks at each other until one of them buried the other under the boulders. 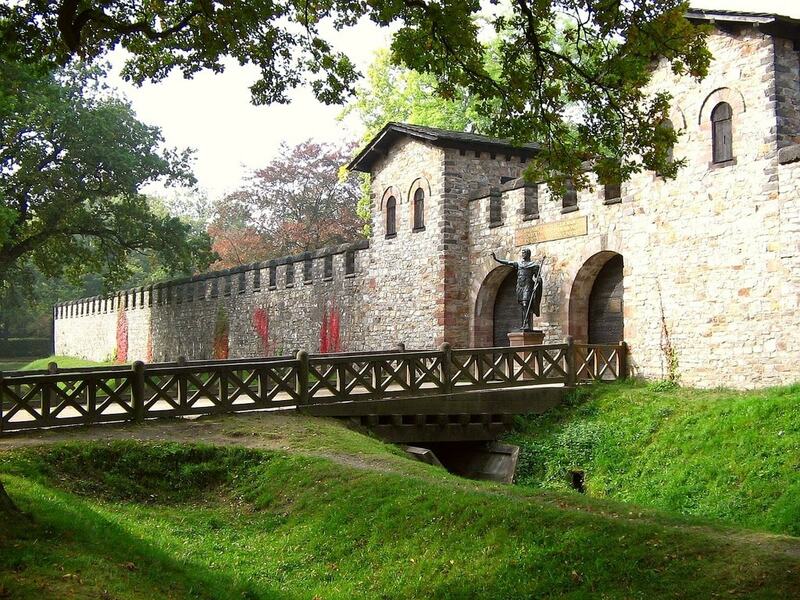 The Saalburg is a Roman fort which sits on the main ridge of the Taunus mountains. At peak times, approximately 2,000 soldiers and civilians are believed to have lived at the fortress. After being attacked by Germanic tribes several times between 233 and 260, the Romans gave up their stronghold, and the Saalburg started to decay. Archaeological excavations unearthed the remains in the mid 19th century and the German Emperor William II ordered for it to be reconstructed. An informative circular trail winds around past the former troop barracks, bathhouses, lodgings, a museum, and other monuments.